Ever since Ryan Sheckler appeared on MTV, men and women just cannot get enough of him. Women hope they can someday meet and even date the lad, while the young guys are totally curious about his look. 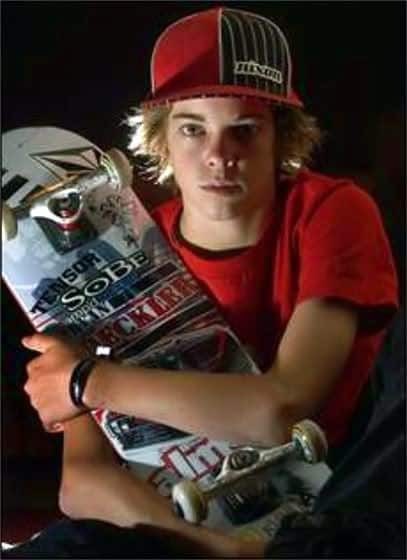 Seriously, how do you get the so-called Ryan Sheckler skater hairstyles? Okay, first, let us know why it is called as such. For those who do not know him, Ryan is actually true-blue skater boy. He started doing so when he was still 18 months old using an old skating board of his dad. Today, he is known for his several tricks, some of which he invented himself. As a typical skater, he usually wears his hair medium to long in length. It is normally unkempt but layered; thus, if you look at his pictures the hairstyle gives more definition to his handsome face. It also adds more volume. The long hair also allows him to wear a baseball cap and still appear dashing when he is already on the board. If you are dead serious about getting this hairstyle, then you have to dye your hair blond to imitate his natural hair color. You can ask the hairstylist to cut the hair into layers, especially on the sides. You also need to have your hair trimmed regularly to maintain the preferred length, which is just above the shoulders. The problem with long hair is it sometimes gets in the way of your vision. You cannot afford to lose sight of your path, or you may find yourself in an accident. What you can do then is to grab an elastic band and tie your hair in a ponytail. You can also wear a helmet instead of a cap to secure the long hair completely. wow! Your eyes are very beautiful!